As part of the Paralelo 28 (Parallel 28) initiative there was constant surveillance and collaboration between the sectors, which achieved a 99% compliance rate of the Islas Marietas National Park Law. The sum total of the work put in by tourism-related businesses and organization and civilians in regards to the increased awareness and preservation of natural resources, as well as the efforts of the authorities who carried out successful marine monitoring operations, has resulted in an excellent compliance rate with the regulations put in place at the Islas Marietas National Park, an icon of the Riviera Nayarit. It has only taken six months for the “Se Buscan Héroes” (“Heroes Wanted”) campaign to prove its effectiveness and demonstrate an unprecedented success. Thanks to the continuous presence of the authorities in the area, the compliance rate for the regulations pertaining to Las Islas Marietas has skyrocketed, surpassing an 88- to 92-percentage rate in 2015 to reach 99 percent in the months of April and May of 2016. “What’s happening in the waters surrounding the Riviera Nayarit will lead the way for the conservation of natural protected areas in Mexico’s northwest and in other regions of the country—perhaps even in other countries,” stated Mauricio Cortés Hernández, head of the Nayarit office and director of the Programa de Recuperación de Especies Amenazadas de Pronatura Noroeste A.C., a member of the Paralelo 28 initiative. “We’re now aware that our efforts are bearing fruit and we’re building a cutting-edge model for the sustainable utilization of our country’s natural attractions,” added Marc Murphy, Managing Director of the Riviera Nayarit Convention and Visitors Bureau. 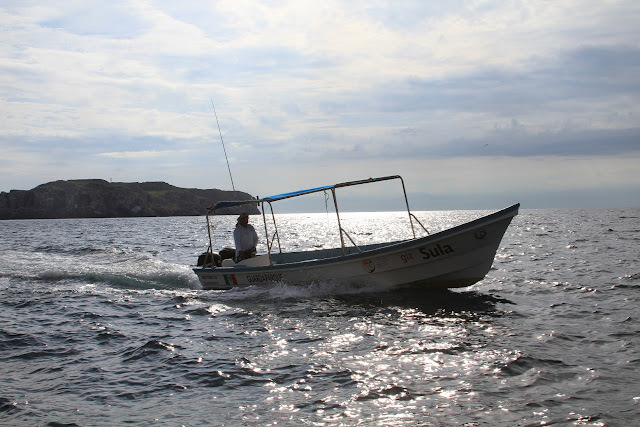 The National Commission for Protected Natural Areas (Conanp, by its acronym in Spanish) and the Federal Environmental Protection Agency (Profepa) have together performed 74 security rendezvous in the area and verified 4,118 boats. During this time period they detected 107 irregularities, which were subsequently resolved. This work was done in coordination with the Transportation and Communications Bureau (SCT) and the Secretariat of the Navy (Semar), with the complete support of Pronatura Noroeste A.C., as part of the Paralelo 28 initiative. The “Se Buscan Héroes” call is still active; if you’re interested in joining the effort please visit: www.sebuscanheroes.com.